This week is Toronto's first annual Feral Cat Awareness Week, marked with kitten adoption events, free spay-neuter services and a proclamation read out at City Hall by Mayor Rob Ford. But why would Toronto care about feral cats? Toronto Feral Cat Project director Valerie De Grandis explains. How did the feral cat problem in Toronto begin? The issue of feral cats in Toronto is one we created. Feral cats are the direct offspring of unfixed pet cats, who are either lost or abandoned by irresponsible owners. They reproduce rapidly, creating the feral colonies we have today. Through the trap-neuter-release program, we are working to improve the lives of feral cats. In addition to spay and neuter, to stop the cycle of reproduction, colony caretakers provide food, water and winter shelter for the cats until the colony disappears through attrition. Trap-neuter-release programs have been proven to be more humane, cost effective, and successful at actually reducing the overall feral cat population than the alternative, trap and kill programs. How did you convince the city to mark this Feral Cat Awareness Week? 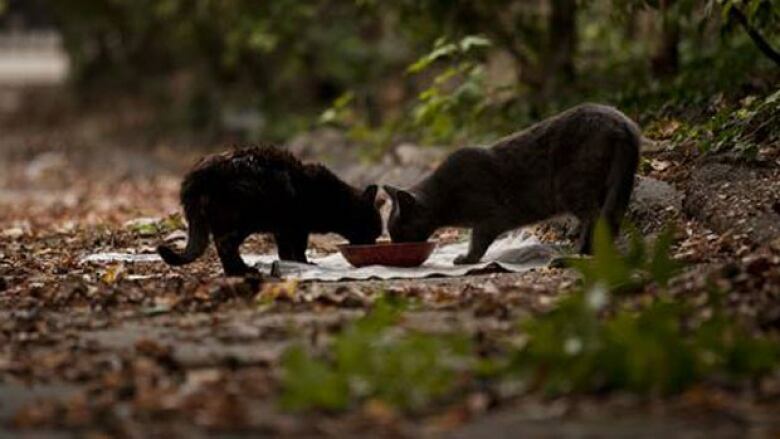 Toronto's Feral Cat Trap-Neuter-Release Coalition works closely with the City of Toronto. Through efforts of Glenn De Baeremaeker's office, the city built a free, high volume feral cat spay-neuter clinic at Toronto Animal Services Scarborough in 2010 that is available to colony caretakers who take the Toronto Feral Cat Project's Trap-Neuter-Return workshop. Toronto Humane Society opened a free feral spay-neuter clinic the same year. With these two clinic resources, we've sterilized more than 4,000 cats. Besides adopting feral kittens, what do you hope people take away from this week? If nothing else, we want people to know that this issue exists and there is a program already in place working on a solution, but we need the support and help of the community to make it succeed. At Friday's Cat-a-thon at Nathan Phillips Square, in addition to having adoptable cats, the Coalition will be recruiting volunteers to help with the city-wide TNR program. We need everything from ground support with transportation, foster homes, and shelter building, to people with data collection and management skills. Cats are incredibly good at keeping themselves hidden and a lot of people look at the cats they see outdoors assume they all have homes. They've never heard of feral cats, that is, until their neighbourhood becomes overrun with them. This is a preventable issue with a humane solution.